The day of 5th November is traditionally known in the UK as Guy Fawkes‘ night, to commemorate the day when a plot to blow up the Houses of Parliament in 1605 was foiled. Bonfires were lit across London to celebrate and give thanks for the plot’s failure, leading to the annual celebration of fireworks and bonfires to be established. We are planning to attend this event as a small group representing our walking society at Cranfield University. If you are interested in joining us, please give us a heads up at the earliest, so that we can arrange for the return transport (optional). Start at: 7:30 PM in front of Cafe Book shop. Please wear appropriate footwear and clothing for a walk. Although the weather is predicted to be clear, it can get a little nippy. 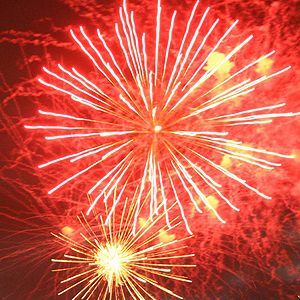 This entry was posted in Blog, More than walking, News, Past events and tagged 5 November, bonfire, celebration, fireworks, gun powder plot, Guy Fawkes, parliament.